Investors from 135 countries made investments in Latvian companies last year. At the end of 2016, there were 29,273 companies registered in Latvia that were fully or partly owned by foreigners. Altogether 29,692 foreigners hold shares in Latvian companies. 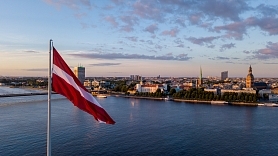 Latvia has set ambitious goals: in two years, it will be among the most competitive countries in the world with a favorable business environment and competitive taxes on labor in the Baltic region. In the guidelines for Lithuania’s economic development, no branch of industry has been given special priority, however, a strategic decision was taken to promote innovation, investment in modern technologies and industries that create high added value. In general, free enterprise and trade, as in other EU countries, characterize the business environment in Estonia.